After leaving the Merchant Navy Kevin Cooney started out on his own with a humble back-garden engineering shop. A chance encounter led him to specialise in manufacturing stainless steel components for yachts, and it wasn’t long before he caught the sailing bug himself. Thanks to ingenuity, determination and a great deal of hard work, Kevin managed to pilot Cooney Marine successfully through the difficult decades of British industrial strife and build it into the largest independent supplier of stainless steel rails and fittings in the UK. 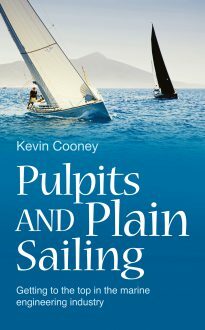 Now semi-retired and with his son at the helm, Kevin is free to indulge his passion by sailing the oceans and even crossing the Atlantic several times. This book is based on the diary he has been keeping for more than 40 years.